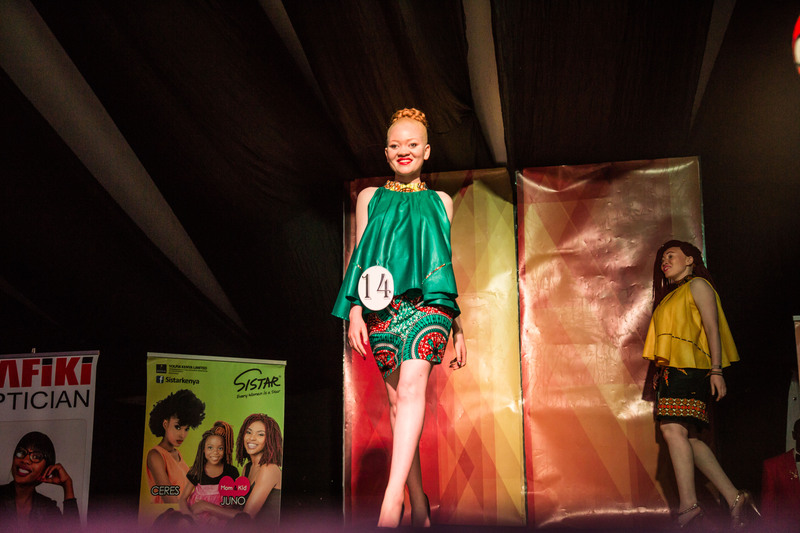 In Nairobi, where albinos are persecuted and even killed for witchcraft, a 19-year-old model with albinism competes to be Kenya Miss Universe. There’s one thing 19-year-old Lucianah Nyawira can’t understand about Kenyan society: why her fellow citizens seem to prize white people, yet she is so stigmatized. The beautiful young woman with albinism, who is an aspiring model in talks with a top model agency to head to Paris, has been subject to abuse for most of her life. With her unusual loveliness, Nyawira is a natural beauty contestant in Kenya. But the university student, who is now in her third year, has some insight; after all it’s a question she’s been grappling with for two decades, starting when her father kicked her and her mother out of the house just after she was born. They moved in her with her grandmother, in the rural county of Kirinyaga in central Kenya, where things scarcely improved. Nyawira applies her make-up in her dorms. 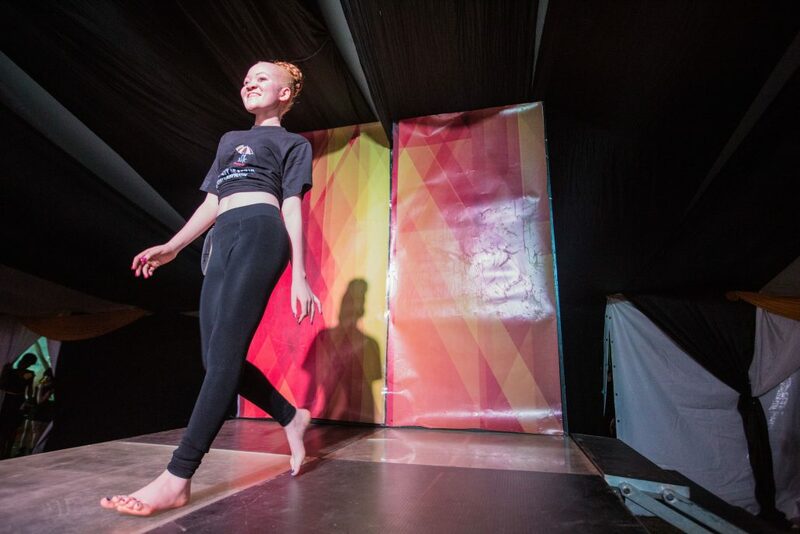 For the duration of her life, Nyawira has had to listen to myths of how people with albinism are a curse, referred to as ‘zeru zeru’ – which means ‘white ghost’ in Kiswahili. She is also often called ‘pesa’, a Kiswahili word for ‘money’, and threatened with kidnap to neighboring Tanzania. In East Africa, where albino body parts are used by witch doctors touting medicine produced from them as a tonic for good fortune, a complete set of body parts can fetch as much as $75,000, according to the International Federation of the Red Cross. A few years ago, Nyawira’s friend was warned she was inviting a bad omen into her life. “My friend took it in and we don’t talk anymore. But Nyawira, who credits a supportive family including her two half-sisters and step-dad with much of her confidence, has let very little come between her and her dreams. She fits in studying diplomatic relations at Nairobi University around modeling shoots and a social media campaign to raise awareness about what it means to have albinism – educating people on facts like how albinism is not contagious. She is currently negotiating with eminent international modeling agency Elite, which has represented models like Naomi Campbell and Gisele Bundchen, to go to Paris in July. Nyawira says the ‘albinism’ label is a difficult one; she embraces her genetic condition, a mutation of several genes which causes a lack of pigmentation, but she says that is just one part of her. 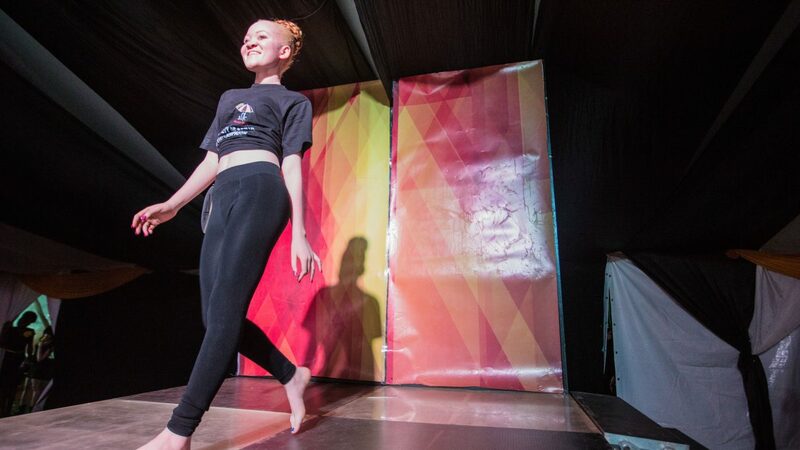 Nyawira prepares with fellow contestants of Kenya’s first albino beauty pageant. Though she concedes it has not been easy to forge ahead in the notoriously brutal world of high fashion, where appearances triumph above all else – even before issues of culture, race and health come into play. Nyawira was told by judges to leave one model casting call, while another time there was a critical public response to one of her photo shoots, which now number more than 20 across five different Kenyan publications. How do I explain to people I’m not white? How do I convince African designers I can do African whatever? 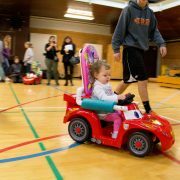 Apart from the limitations she encounters from other people, however, Nyawira says she faces few others due to her condition. Like others with albinism she has to be vigilant about wearing sunscreen and her vision is poor; she wears glasses much of the time and must sit in the front of her lecture theaters. But it poses no real interference with her modeling, apart from needing the intensity of the camera flash dialed down. And she is hopeful that things will improve for those with albinism in East Africa. 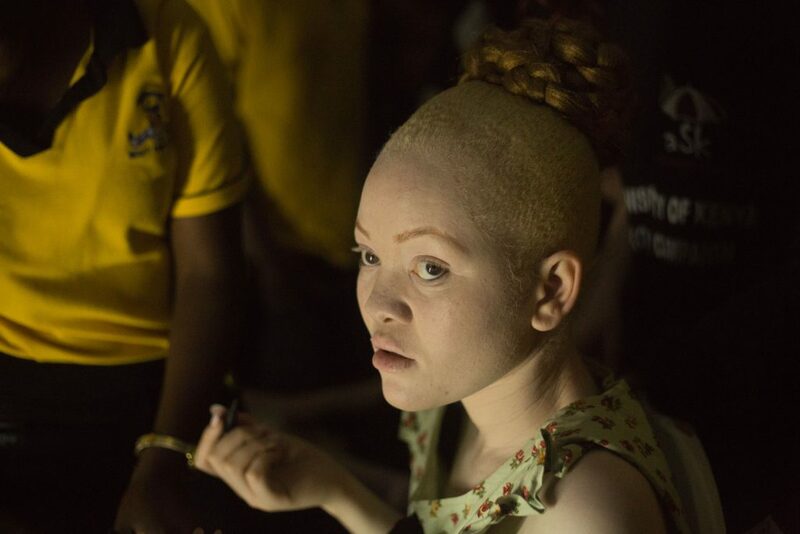 Nyawira says about half the time people accept she has albinism while the rest of the time people mistake her for a ‘mzungu’, the Kiswahili word for white person – but in her childhood very little was known about her condition. Kenya now has its first high court judge with albinism and a Member of Parliament with albinism, some of the trailblazers who are putting the cause of albinism on the map. Just recently, Nyawira competed in the world’s first beauty pageant for people with albinism and finished in the top 16 finalists of the Kenya Miss Universe pageant. There is another potential social challenge Nyawira faces. 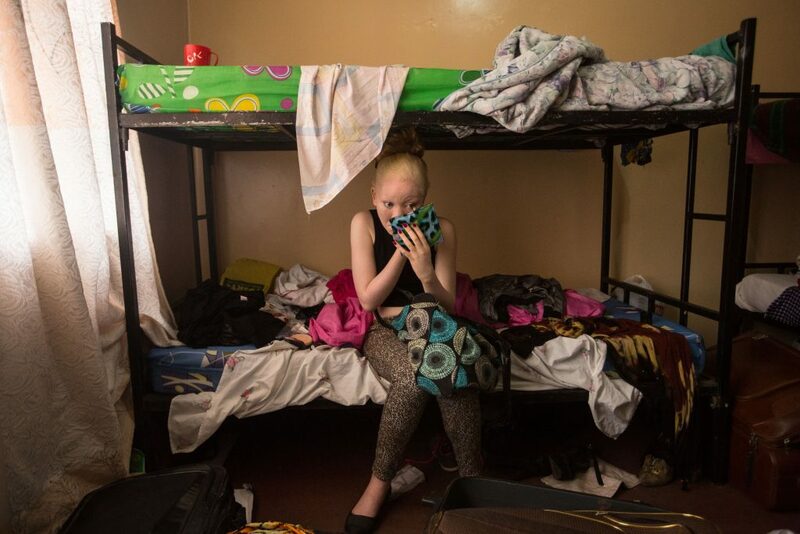 While other barriers are breaking down in Kenya, women with albinism face great difficulties getting married. However, the defiant and articulate teenager doesn’t see this as a problem right now. 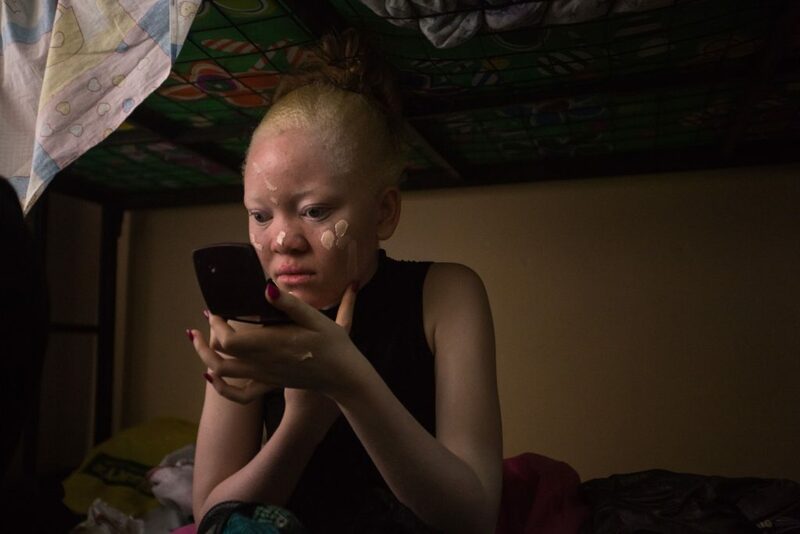 Women with albinism confront significant challenges in African society. Never defined by convention, Nyawira still wants her own children, and has even decided on how many: three girls and one boy.